She gives the practitioner the power to attract all the things the three worlds, the strength to defeat enemies, and fertility. Who gets the perfection of his mantra gets happiness and liberation and dominates the three worlds. She provides love and marriage. This mantra destroys all poisons. Om Hrim Namah Vahnivasiniyai Through its mantra, obtains union with that which lies in the midst of the fire that devours the universe, dominating the three worlds. She destroys ignorance and lack of spiritual discrimination.On the physical plane, eliminates the ills and problems of the devotee. Aim Hrim Shrim Shivadutyai Shivadutinitya Namah Namah Shri Padukam Pujayami Tarpayami It delivers what the devotees wishing fairly. Annihilates injustice and the ethical and moral failings. Leads the practitioner to experience Shiva. It gives very fast to that which is devoted to the repetition of his mantra results. Provides wisdom, wealth, health, long life.Protects from attacks and poverty. Grants a power of attraction to practitioners. The practitioner provides full wisdom. Grants protection from enemies. Grants the power of speech to its practitioners, what they say is realized. Also provides physical strength. This provides Nitya powers (siddhis) to his devotees. Also provides success and victory in what the practitioner strives. It delivers win battles, disputes and success in buying and selling of goods. She gives all the gifts, and makes all auspicious activities, both in material and spiritual world. Protects his devotees in travel. 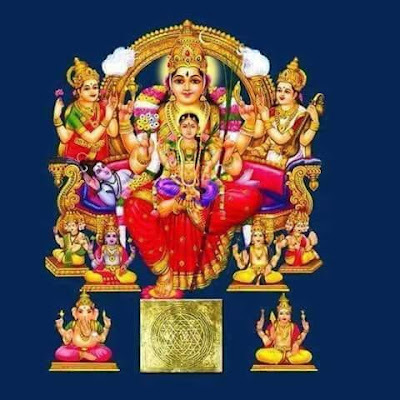 Om namo Bhagavati Jvalamalini devadevi sarva bhuta samharakarike jatavedasi jvalanti jvala jvala Hum Hrim Hrim prajvala prajvala Ram Ram Ram Ram Ram Ram Ram Jvalamalini Hum Phat Svaha Provides powers (siddhis), destroys enemies, gives riches. You can enter into communication with this divinity when it is invoked inside a boy or a girl, and also in the water. Aim Hrim Shrim Ckaum Am Chitra Nitya Shri Namah Padukam Pujayami Tarpayami She provides spiritual self-knowledge and wealth. Gives the practitioner the power to convince others. 16. 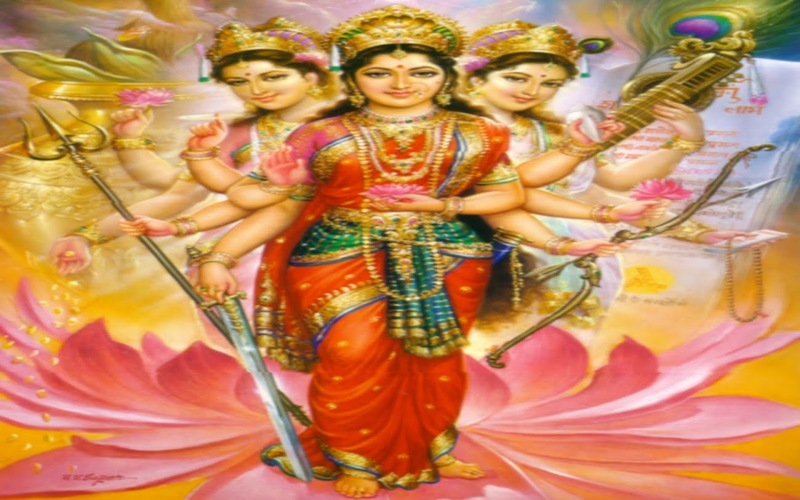 Lalita Tripura Sundari or Tripurasundari (or Lalita) as the sixteenth Nitya, or as the totality of Nityas. Her yantra is Shrichakra or Shri Yantra, which summarizes all other yantras. 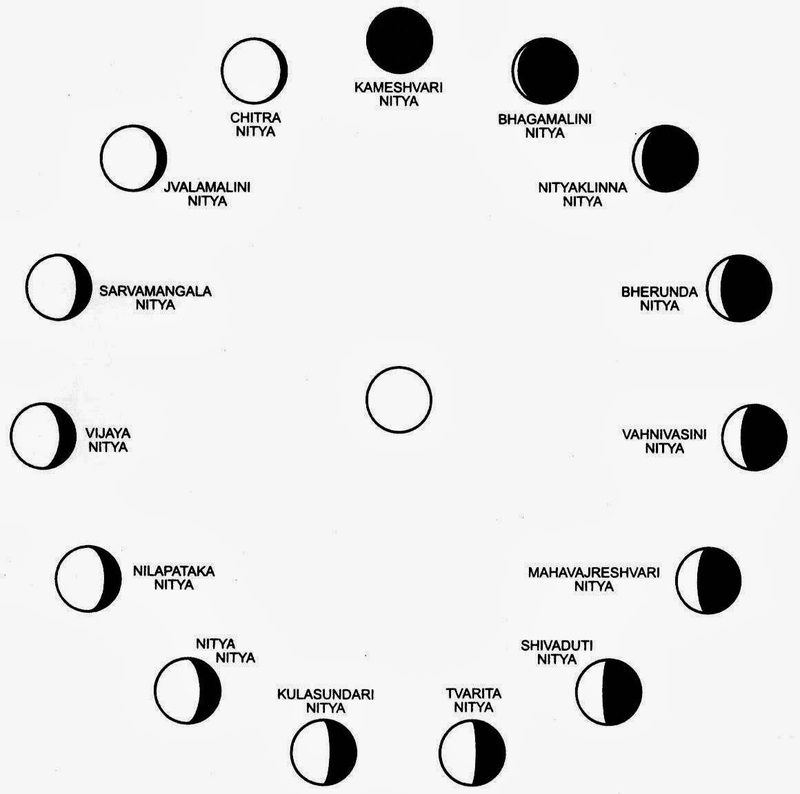 Lalita Tripura Sundari or Shri Yantra Some tantras inform the fifteen Nityas should be considered localized in the central white triangle of the Shri Yantra (called Sarva Siddhiprada Chakra), starting from the bottom edge (1) in a counterclockwise direction. The central point of the Shri Yantra (bindu) is considered as representing the totality, ie, Maha Tripura Sundari. 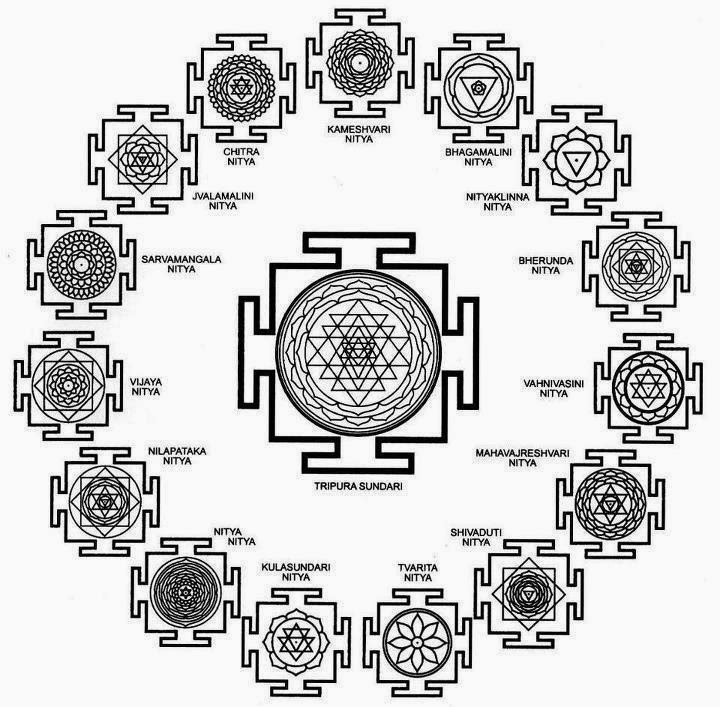 Some tantras inform the fifteen Nityas should be considered localized in the central white triangle of the Shri Yantra (called Sarva Siddhiprada Chakra), starting from the bottom edge (1) in a counterclockwise direction. The central point of the Shri Yantra (bindu) is considered as representing the totality, ie, Maha Tripura Sundari. Thanks man...Have been interested in this for quite a while. It seems super complicated. Energetically, these Divine Ladies appear to align with the Petals Of Vishuddhi Chakra...a set of 16 vectors radiating at 22.5° intervals from the spine at the base of the throat/shoulders area...Like all Sanskrit letters which align with discrete locations on the human body. I am a Balatripurasundari upasagi. This post means a lot to me.Thanks Dr.